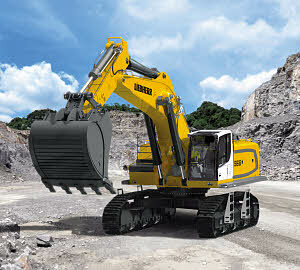 which power is conveyed in hydraulic equipment. Hydraulic liquid has the main usage of conveying potential and kinetic energy. Hydraulic liquid has the main usage of conveying potential and kinetic energy; also it can make flow of volume in pump and hydrostatic motor, and can decrease the wear of parts that is rubbed with each other. In accumulation, they save the system form oxidization and helps in carrying away the heat formed during energy makeover. The practices of functions in industry have been altered a lot, but balanced and reliable hydraulic fluid technology have not been much changed since a long time. Now, the demands are on systems, which are being operated hydraulically. Hydraulic systems are supposed to perform optimal during the operations at high pressures, high temperature, and circumstances in strong operations. Ordinary hydraulic oils are depending on mineral oil or water. These fluids are usually in little compressibility. Hydraulic fluids are flown in quality oils seeing as they have been in constant usage in a system, basically very low habitation time in a reserve place or a tank to stock up. The main task of hydraulic oil is to pass-on the power. Though, there are more significant tasks of hydraulic liquids such as saving the hydraulic equipment components. Basically, hydraulic fluid has been used for big machines. In the early stages, mineral oil started to be utilized much water as a main storage due to its lubrication belongings and it is eligible to be utilized at the temperature, which is on top of the temperature point of water. Now, generally hydraulic oils are depending on mineral oil main stocks. Natural liquids for example rapeseed are utilized as main purpose for fluids at where ecological and renovation cause is realized as significant. independently of the actual additivation, can be filtered using all filter materials with all known filtration ratings ≥ 1 µm without filtering out effective additives at the same time. Hydraulic fluids predominantly only with additives for oxidation and corrosion protection, but no specific additives for wear protection in case of mixed friction. HL fluids can be used in hydraulic systems that do not pose any requirements as to wear protection. HL fluids may be used only for components whose product technical data sheet specifically allows HL fluids. For components which have not been approved according to the product data sheet, please consult your Lubrita lubricants sales partner. Hydraulic fluid with corrosion, oxidation and verified wear protection additives. HLP fluids are suitable for most fields of application and components provided the temperature and viscosity provisions are observed. HVLP hydraulic fluid with additional improved viscosity temperature behavior. HVLP fluids are used in systems operated over a wide temperature range. HLP and HVLP hydraulic fluid with additional detergent and or dispersant additives. water (> 0.1 %). This may have negative implications for the wear protection and the aging properties of the fluid. In individual cases where higher water contamination is to be expected (such as in steelworks or under humid conditions), the use of HLPD/HVLPD fluids cannot be recommended as the emulsified water does not settle in the reservoir but is evaporated in heavily loaded positions. For such cases, we recommend using HLP hydraulic fluids. HLPD/HVLPD fluids may contain additives that in the long run are incompatible with plastics, elastomers and non-ferrous metals. Furthermore, these additives may lead to the premature clogging of hydraulic filters. Therefore, test the filterability and the selection of the filter material in consultation with the filter manufacturer. – Specifications for categories HETG, HEPG, HEES, and HEPR. the hydraulic system. If the fluid contains more than 2 % of another fluid then it is considered to be a mixture. Mixing with other hydraulic fluids is not generally permitted. This also includes hydraulic fluids with the same classification and from the market overview RE 90220-01. If individual lubricant manufacturers advertise miscibility and/or compatibility, this is entirely the responsibility of the lubricant manufacturer. Lubrita will not accept liability for any damage to its components resulting from mixing hydraulic fluids! Hydraulic fluids based on mineral oil and related hydrocarbons are hazardous for the environment. They are subject to a special disposal obligation.The respective lubricant manufacturers provide specifications on environmentally acceptable handling and storage. Please ensure that spilt or splashed fluids are absorbed with appropriate adsorbents or by a technique that prevents it contaminating water courses, the ground or sewerage systems.